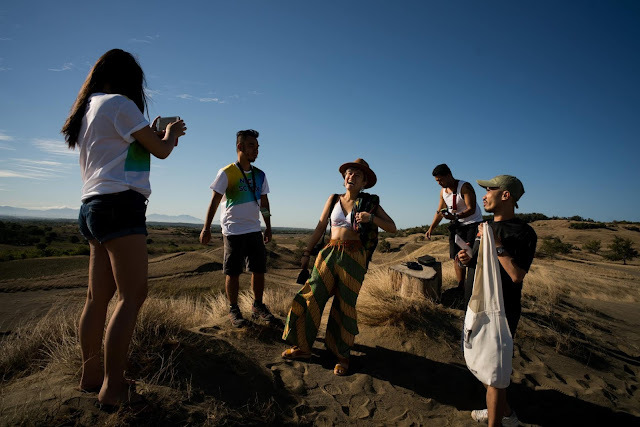 As our journey to the North continued to Ilocos Norte, we found ourselves in the city of Laoag, in the expansive desert that is the La Paz Sand Dunes. I'm no stranger to the sand dunes of Ilocos. I have been to the one in Paoay almost four years ago as part of my very first adventure. But still, I was excited to brave the desert once again. So along with three of my companions, we boarded a 4x4 and rattled across the bumpy landscape. Our bodies jostling as we scaled hills and rushed back down. The ride, albeit bruising, was exhilarating. It took roughly 20 minutes to see the varied landscape of that spot. You have the West Philippine Sea on one side, then a cluster of mountains on the other. It was fascinating to see all these elements in just one place. No wonder it was declared a National Geological Monument by the National Commision on Geological Science in 1993. 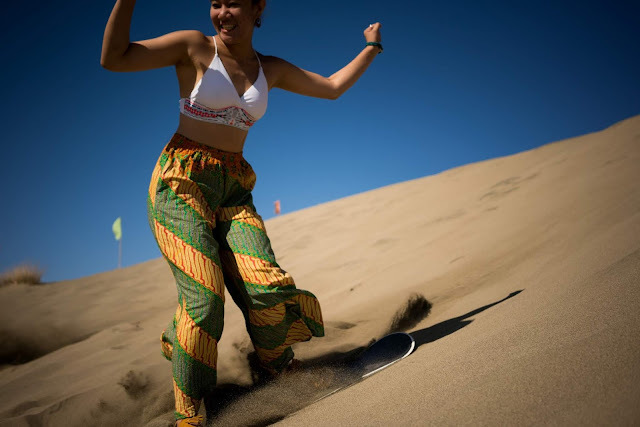 Part of the greater Ilocos Norte Sand Dunes that extends from the town of Currimao to the town of Pasuquin, the La Paz Sand Dunes was the first to offer recreational activities in the province. Aside from the 4x4 ride, there's also ATV ride, as well as sandboarding which was next on our to-do list. After having a pitstop by the shore of the West Philippine Sea, we proceeded to a dune where a trio of men awaited us. 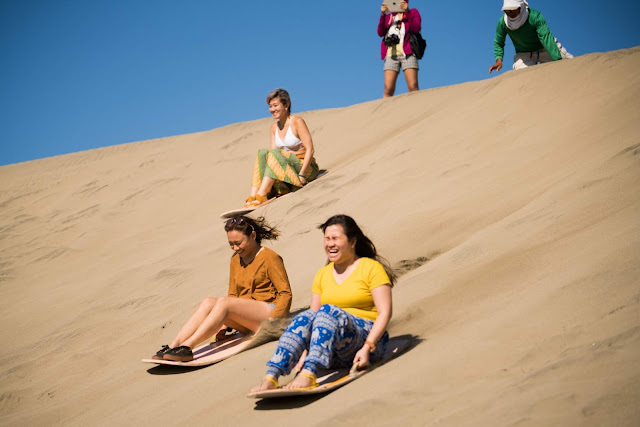 I've tried sandboarding in Paoay, with me ending up like Jack from Jack and Jill. gloriously tumbling down the sabulous hill. That memory suddenly fresh in my head, I decided to just slide down while seated during my turn. When I arrived safely on the foot of the dune, joining my other companions, I felt a sense of unease, like I haven't done what I came to do. It was like an itch I couldn't locate just yet. Then, seeing someone do his turn while standing up, it suddenly dawned on me: I got to try it while on my feet. To heck with getting off balance, you only live once. I am reckless that way. 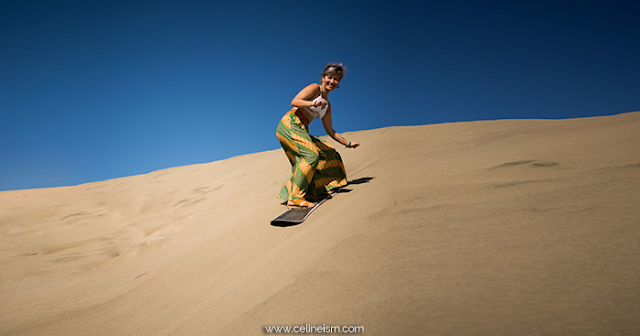 At any rate, I decided to clamber up the dune via the wooden planks embedded in the sands, determined to sandboard the proper way. All set up at the summit, I gulped as my instructor nudged me down. A few seconds and I was doing fine. "I got this," I thought. But I got cocky. And the next thing I knew, I was having a repeat performance of the Paoay incident. I tumbled halfway, and I didn't do anything to slow myself down. I just let myself roll like a rock, laughing like a weirdo as I did. As a result, I got sands in places where sands shouldn't be. Eyes. Ears. Mouth. And I was wearing a bikini top. So imagine the cleanup needed after that. And I hate baths. Let me tell you, a couple months later and I still get bits of sand when cleaning my ear. My lunch and dinner that day, meanwhile, tasted suspiciously gritty. Nevertheless, I was fine. No broken bones or anything. The sand may stick to every nook and cranny of your body, but it makes for a great landing cushion. Besides, like I said, you only live once. Get on a bus to Laoag from either Cubao or Pasay. Victory Liner buses depart from Cubao, while Partas departs at Cubao and Pasay. In a spot called "Batac" in Laoag City, you may charter a tricyle to take you to and fro the La Paz Sand Dunes which is about 15 minutes away. 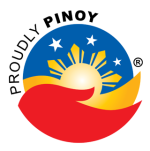 There is currently no fixed rate, but Php500 for four people is a good starting point. - First and foremost, please make yourself familiar, if not already, with the Leave No Trace Principles. 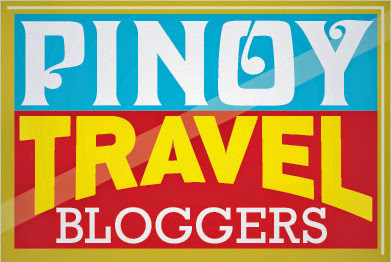 All photos courtesy of the North Philippines Visitors Bureau via Martin San Diego.